Grants are one of the many ways that the Allentown Rescue Mission has been able to help the homeless for over 100 years. On February 27, 2019, The Allentown Rescue Mission was honored to present both David Marakovits and Buckno Lisicky & Company with the Allentown Rescue Mission’s Unsung Hero Award. David Marakovits, manager at Buckno Lisicky, graciously donated his time, skills and expertise to lead a complex, multi-part Management Advisory assignment for the Allentown Rescue Mission. David provided special insights into the financial closing and reporting cycles, organization structure, management development and operational planning processes. Buckno Lisicky and company generously donated the resources to enable David to complete his contributions and as such have made a substantial contribution to the Allentown Rescue Mission and our goals to Rescue, Rehabilitate and Restore homeless men in our community. The Allentown Rescue Mission’s Unsung Hero Award recognizes individuals and organizations who make substantial contributions to the Allentown Rescue Mission - but do it in a way that otherwise would go unrecognized. 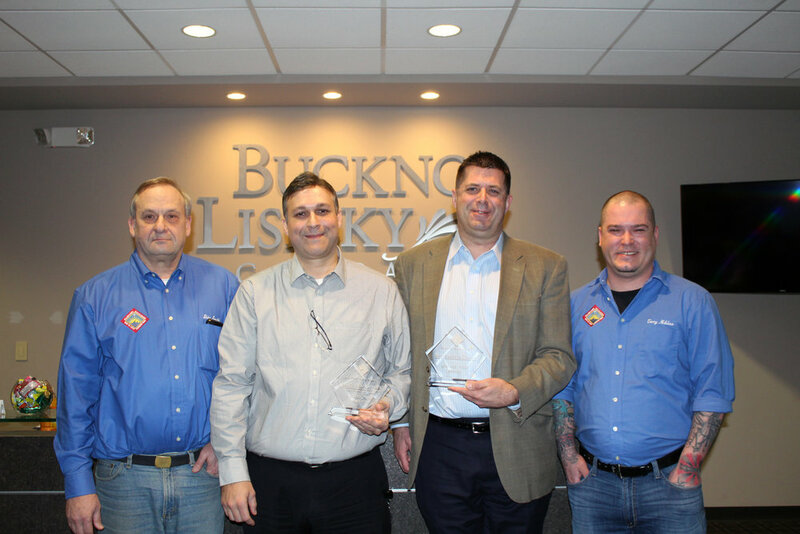 We at the Mission are extremely grateful and pleased to present both David Marakovits and his firm, Buckno Lisicky and Company with these Unsung Hero Awards. 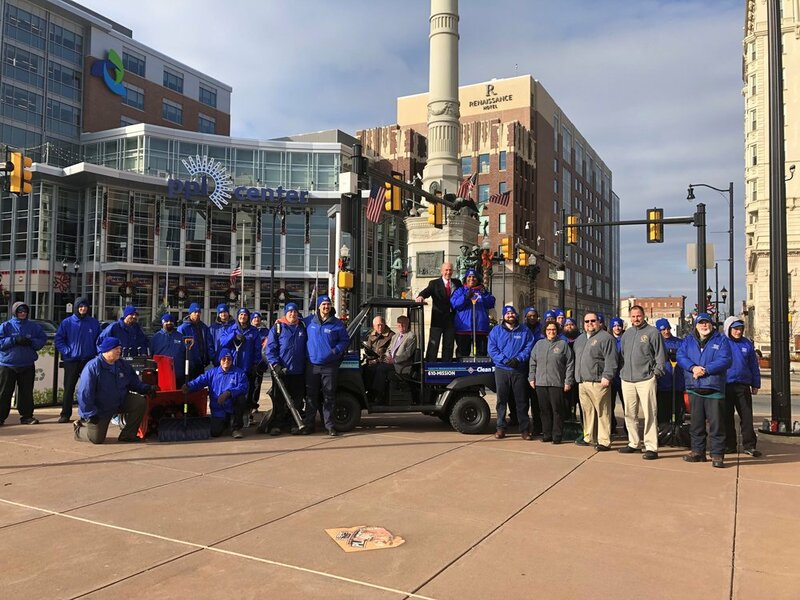 Last week the Clean Team had the pleasure of meeting with Mayor Ray O’Connell Downtown for a photo op and “Thank You” from the Mayor for the hard work we do. We also announced the purchase of new snow removal equipment to be utilized by the Clean Team this winter season. The Men had a wonderful time as they listened as the Mayor spoke to them about "Not looking back but moving forward, we can't change the past but we can make positive life choices from here on out!". We would like to thank IDWraps & Malcolm Gieske (Owner of ID Wraps) of Slatington for donating the wrap for the 2018 Kawasaki UTV. We are excited to announce that the Allentown Rescue Mission will be featured in this coming May’s edition of Pennsylvania Borough News magazine. Be sure to check out the article entitled, “Life Off the Streets” and read about some of our guests and see what they are doing now. The 2017 Thanks for Giving Food & Supplies Drive took place on November 17th and 18th.